I recently embarked on a Tuscan road-trip, drove through the rolling hills of Chianti in a quintessential Italian car – in this case, a Fiat - and stopped at one-too-many spots to frolick in the vast vineyards under the Tuscan sun. It was my dream for the longest time. I’m happy that I have finally checked that off my bucket list! It may sound cliché, but it was every bit as dreamy as I have imagined it. My journey began in Florence where I arrived at the Santa Maria train station from Milan. I made my way by taxi – you can also take the bus – to the car rental by the airport. I rented an automatic Fiat 500 with Sicily Car despite their alarming reviews. Fortunately, everything went smoothly with them. I also picked up a hotspot device at the Sicily Car rental – lifesaver! And off I went to the Tuscan villa. As a driver in Miami, I was somewhat prepared for the chaos that it is to drive in Florence. But oh, boy, if it wasn’t horrifying – keep in mind, it was also my first time driving abroad. 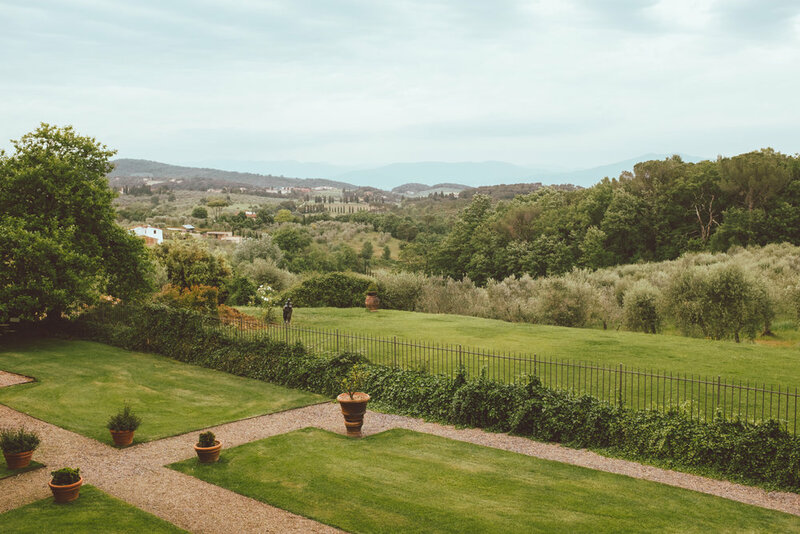 The nerve-wracking drive out of Florence eased as soon as the Tuscan scenic landscape started to emerge - the tall trees and the narrow roads led me to my villa, home for the next few days. 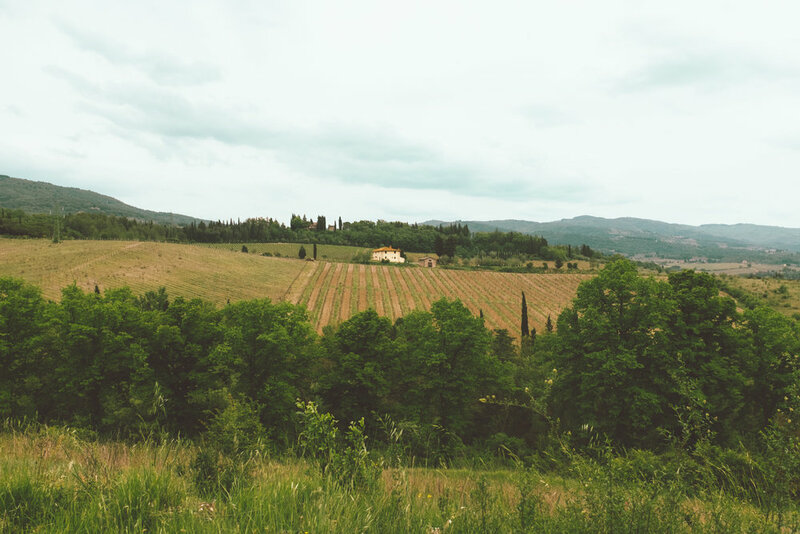 I couldn’t believe I was finally doing it – Road tripping in Tuscany! As I entered the town San Casciano in Val di Pesa where the villa is, I spotted from afar the peach color building on top of the hill amid its vineyard. I couldn’t resist but to stop and snap a few photos. TIP - You don't need to rent a car in Tuscany. You can hire a private driver, go on tours, or take public transportation – I do not recommend the latter as buses run few in between especially during school break. Chianti is located within the region of Tuscany, occupying the territory between Florence, Siena, and Arezzo. Simply put, it’s the heart of Tuscany. If you are a wine lover, you will know that Chianti is also synonymous with excellent wine. 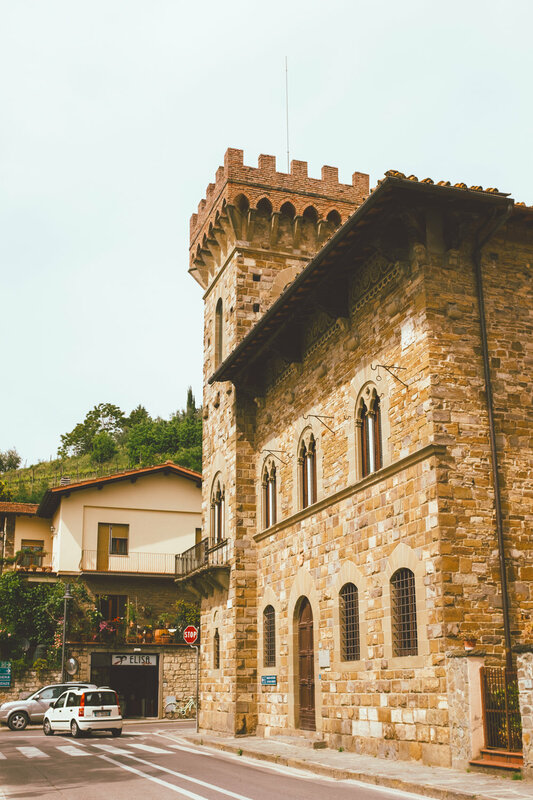 The town San Casciano in Val di Pesa is located near the border of Chianti, 30 minutes away from Florence. The Tuscan villa is not only beautiful but also rich in history. The Machiavelli family built the property in the 15th century and designed with the help of Michelangelo. As I drove past the gate, I couldn’t believe how beautiful the place was. After exploring the Tuscan villa's beautiful olive garden and vineyard, I had dinner at their restaurant. I was planning to explore San Casciano in Val di Pesa and find a local restaurant, but the chef lured me in with his enticing truffle menu. 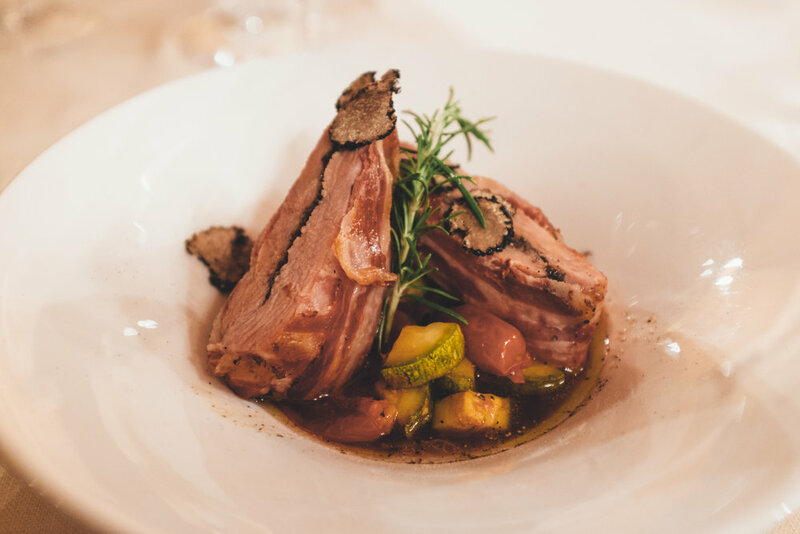 I gave the chef carte blanche and prepared a 4-course menu with locally sourced ingredients, making sure that black truffle was the star of each dish. If you are looking for the best Chianti wine in the region, look for the Consorzio Chianti Classico’s seal of approval – or the famous black rooster symbol. The via Chiantigiana - the road connecting Florence to Siena or SR 222 - is one of the most scenic routes in Italy. 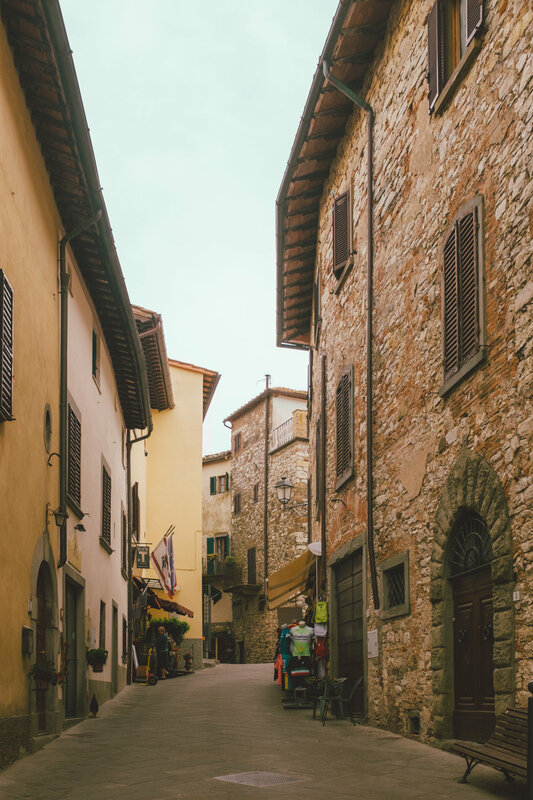 Driving through acres of vineyards, idyllic towns, historic abbeys, and churches, will make you fall in love with Tuscany – if you haven’t yet. Road tripping on such a scenic route made it almost impossible to stick to a schedule. You could easily do the Chiantigiana road-trip in one day if you start early. 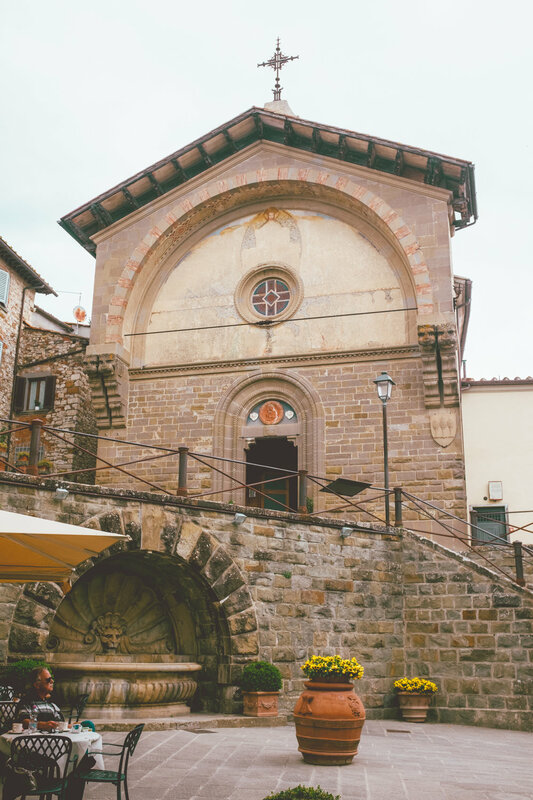 But if you are like me, stopping every chance I got to enjoy the Tuscan landscape and stroll through the medieval streets - can you blame me?- consider adding a few extra days to your itinerary. If you are embarking on a road-trip, make sure to have a navigation system. Roads can be tricky to navigate. I rented a pocket Wi-Fi device, and Google Map was a lifesaver. The main attractions of this charming town are the monastery and the main plaza. As soon as I arrived, I parked the car up a hill and made my way down while contemplating the beautiful scenery. The town, although small, is full of charm. I enjoyed walking around it as the locals go about their day. Every year, Greve hosts the Chianti Classico Wine Festival in September. Local merchants showcase their products and tasting is free! All you need is to purchase a glass. If you are around the area, make sure to stop by the event. If you have extra time, pack a picnic basket and stop at one of the many scenic locations and enjoy the breath-taking Tuscan landscape. Radda was my favorite place in Chianti. A large defensive wall surrounds the beautiful medieval town. With the area enclosed, the quaint alleys, and tall medieval buildings, the charming place transports you back in time. While the town is a little off the main road, it’s worth the short detour. If you are looking for a midpoint between Florence and Siena, Radda makes a good option. It’s close to restaurants, major sites, and the main road. To get there, exit the Chiantigiana road and take the SR429. I didn't have time but If you do, you can also add hot air balloon to your itinerary. I guess that's a great excuse for me to go back! 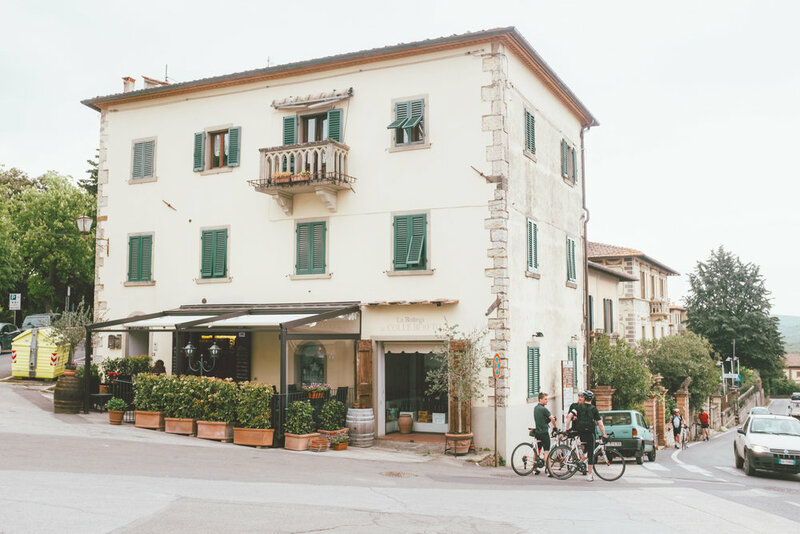 If you want to visit a few of the renown Chianti wineries, there are many located on the road SR 222 – most of them take walk-ins. If you would like a tour of the cellars, I highly recommend booking in advance. For a wine to qualify as Chianti wine, it must be produced with at least 80% Sangiovese grapes. Tuscany was certainly one of the most beautiful places I have ever been. The rolling hills, delicious food, medieval towns, make the Italian region a must on your bucket list. Have you ever been to Chianti or Tuscany? If you are looking to extend your trip in this breathtaking region - who wouldn’t want to? - check out this One Week Itinerary in Tuscany for other towns to visit. Pin it if you liked this post or would like to visit Tuscany one day!